Iruka Ndubuizu's experience working on several high profile lawsuits enhanced her belief that litigation can be averted if business leaders are equipped with prudent negotiation tools to make better decisions for the company. She uses the law proactively to achieve better business results, balance risks with reward and prevent problems. This fuels her passion for sharing her extensive knowledge via training in both traditional and non-traditional classroom settings. Iruka, founding member of Women Empowered to Achieve the Impossible (WETATi), trains in the following areas: Communications, Leadership, Customer Service Skills, Contract Drafting, Negotiations and Conflicts Resolution, Embracing Fears, Overcoming Challenges and Setting Goals. She specializes in negotiations and is proficient at translating business concepts into valuable business outcomes. She graduated from law school over 25 years ago and subsequently earned a Master of Laws (LL.M) degree in 2006 from the Emory University School of Law in Atlanta, Georgia. Her experience spans law firms, corporations and academia. She has worked on several high profile multi district lawsuits, including but not limited to intellectual property, products liability, tobacco, and asbestos litigation. She engages and connects with people through her excellent communication skills which enables her to build successful teams and maintain effective business relationships with a wide variety of people at all levels. This quality earned her the Emory Award of Distinction for superior professional ethics. The annual Award recognizes 10-15 employees (out of more than 20,000 employees) who make outstanding contributions to the greater Emory Community. As part of her social responsibility, she volunteers at several charitable organizations in Atlanta, participates in Medical and Training Missions to Nigeria. 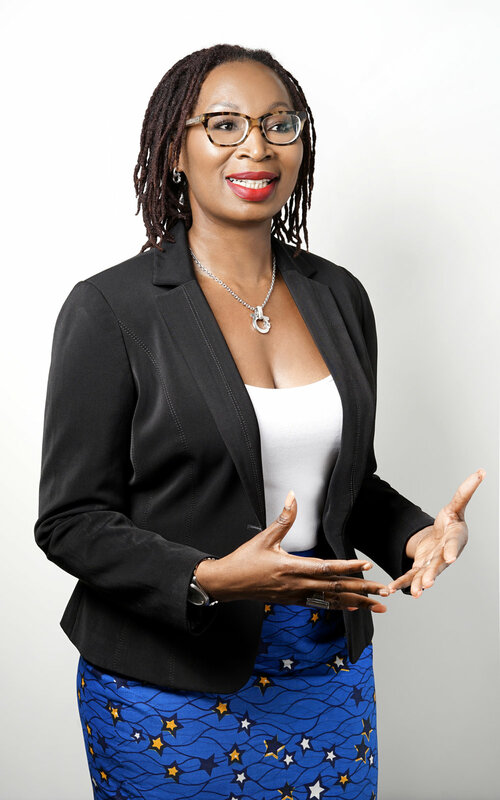 She is past Vice President of the Nigerian Women Association of Georgia, a Founding Member of Women Empowered to Achieve the Impossible (WETATi), the Founder of Nigerian Professionals Mixer in Atlanta and the past Vice Chair for the Nigerian-American Public Affairs Committee, Georgia Chapter. In December 2014, she was nominated for the Woman in Healthcare Leadership Award by the Healthcare Businesswomen's Association (HBA) in Georgia. Max Udeagha is a professional who has had the opportunity to engage with the best resources in the finest environments both locally and internationally. His work experience covers several industries including Public Service, Real Estate, Banking, Management and Technology Consulting as well as the Digital Payments Industry. Max has over 15 years’ experience in Business Case Development, Project Management, Strategy Formulation, Business Process Design and Re-Engineering, Execution Management, Property/Facility Management, Real Estate Valuation, Customer Relationship Management, Supply Chain Management, Lean Kaizen and Six Sigma Methodology Application in availing consulting interventions. He has worked with top-management and executives to identify key business issues and develop solutions, and has been involved in several transformational projects as a team member, delivery manager and project manager. These opportunities prepared him to always deliver superior performance while ensuring he maintains a balanced work/life relationship. He loves chess, Sudoku, football and reading and believes that traveling is a good form of education. He is a certified Kaizen Workshop facilitator.